The converted Tenk Machine and Tool building houses Six Shooter Coffee, an event space, and ThinkTenk. 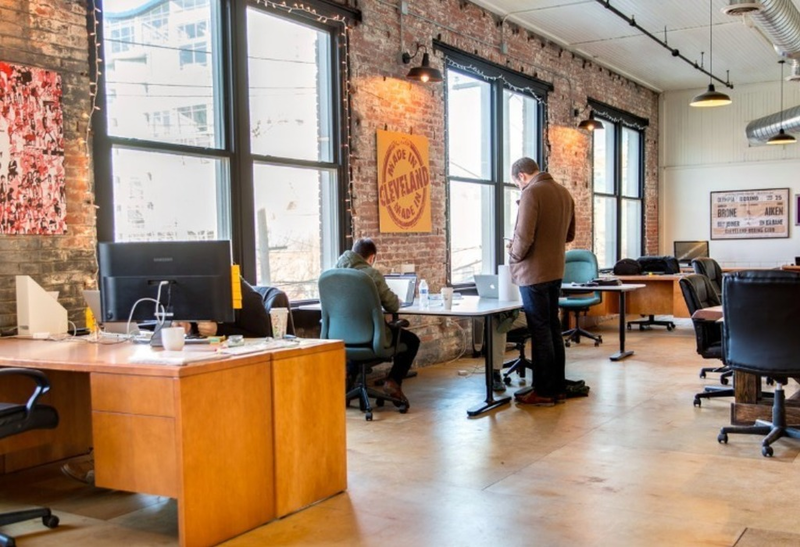 ThinkTenk is a cowork space located in the Flats of downtown Cleveland. There is a quiet buzz about the building that is indicative of the work, creativity and innovation that is being done by our guests. The open floor plan welcomes inclusivity and collaboration when appropriate. 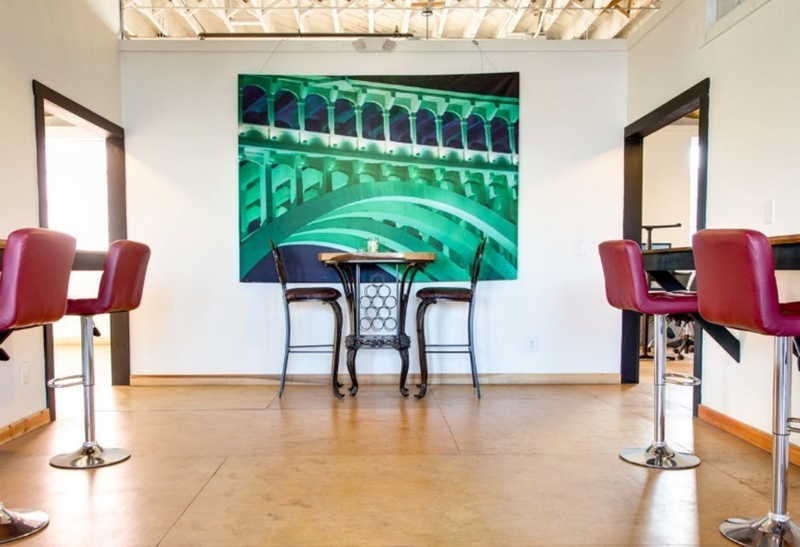 With views of downtown Cleveland, ThinkTenk is a great place to set up shop and get some work done. 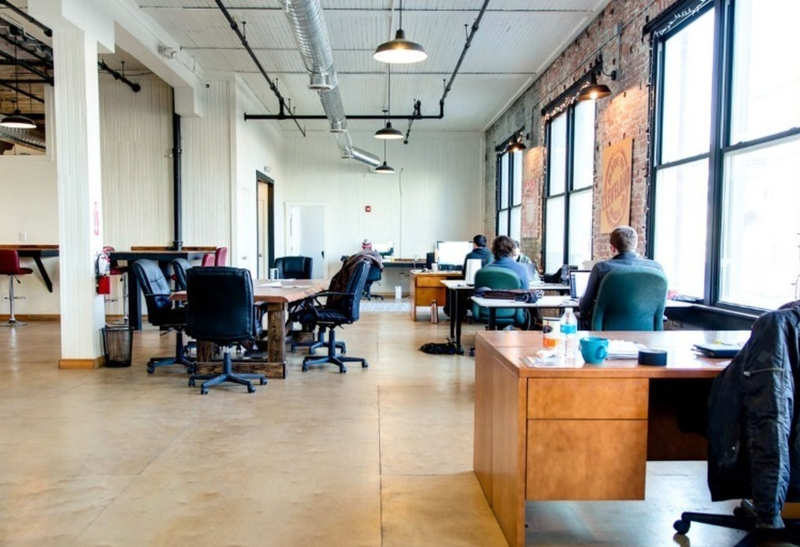 We are a cowork space in the Flats of downtown Cleveland, OH. We have hotseats that can be rented on a daily basis, a base monthly membership and permanent desks available. We offer a pretty laid back environment with a variety of guests that range from lawyers to real estate brokers to a start-up media company.